There are usually discounts readily available to senior citizen and small children. Find out by contacting your nearest pool in Tyne and Wear. Regular users told us the most important thing of swimming is always to control your breathing. To acquire this, our head should be aligned with our spine all of the time. Swimming is a sport for all ages. It helps young people today to tone their muscles and grow healthy and strong. Please check the nearest Indoor Pools in Tyne and Wear or Contact us to ADD IT. It's free of charge! Are you a standard swimmer? Do you visit the identical Swimming Pools? Please check that all the information for your aquatic center are correct and get in touch with us in the event you find any mistake. These are the Indoor Pools in Tyne and Wear other users have reported. Are you a local and your pool is just not listed? Contact us to ADD IT. It's absolutely free! Swimming is actually a fantastic thought to keep your body active throughout your visit to Mawgan Porth (Tyne and Wear), or even if you are a local. 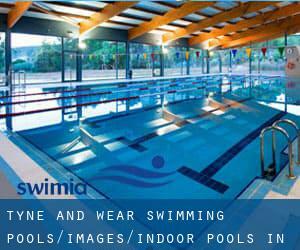 Swimia helps you to discover your closest Swimming Pool in Mawgan Porth. Let us let you know a secret to switch off while you are in Gosforth: just pick out a Swimming Pool in Gosforth and plunge into the water! There's no more powerful approach. Whereas Washington is among the six most populous cities in Tyne and Wear with almost 53.526 residents, you shouldn't miss that one if you're going to Tyne and Wear. It's difficult to visit Tyne and Wear without having dropping by Shiremoor (with 4.889 residents). Presently Swimia is showing you all of the Swimming Pool in Shiremoor and also the closest pools located in its vicinity. Town Centre , Washington , England , UNITED KINGDOM (Postal Code: NE38 7SS). Among all of the activities offered by the center, if you are enthusiastic about swimming you are going to take pleasure in 25 meters, Indoors. Just in case you wish to make contact with this Swimming Pool prior to dropping by, we only know the phone number.